I’ll be making a presentation which is free and open to the public. Saturday, October 15 at 1:30 pm at the Visitor Center for the Santa Monica Mountains Nat’l Recreation Area (Thousand Oaks, CA). The lecture and photo critique will be held next door to the visitor center. This presentation will be on creating dramatic landscape photography. This presentation will help you focus and better connect with nature while in field with your camera. This presentation will help you blend art into your photography. This presentation will provoke thoughts and help you become a more creative photographer. 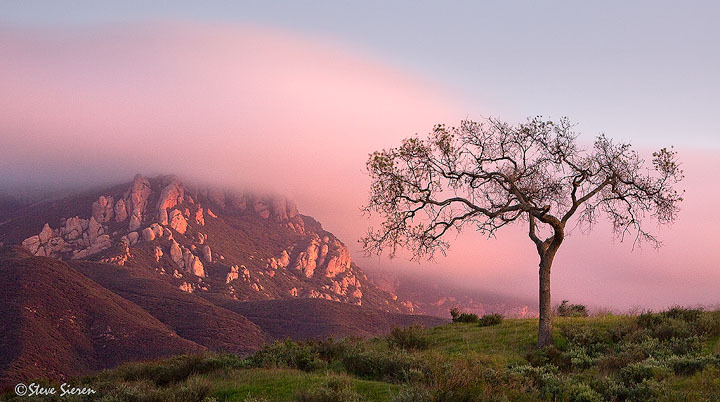 Stop by and show your support for landscape photography as art in Los Angeles. Please bring your camera for a shoot afterwards! Join me for an exciting afternoon! This entry was posted on October 12, 2011 at 8:57 am and is filed under Uncategorized. You can follow any responses to this entry through the RSS 2.0 feed. You can leave a response, or trackback from your own site. Sorry but the time is at 1:30 pm not 6pm. It’s great to take a break to stop and improve your skills as a growing photographer instead of just going and going all the time. Looks to be a very worthwhile event. I wish I could be there. Thanks David, I appreciate the support! Steve, If I start driving right now I could make it just in time. Seriously though, If it was under 8 hours I would come out and support you presentation. I hope it all goes smoothly for you. Thanks Steve, Glad to hear you’d make it worth the drive!! Thanks for the support! It was a very good afternoon seeing you and your presentation. I learned a lot and it will help me in my photo hobby. Your very large beach rocks with sunset photo was inspiring. What I remember the most is your pulling out your “light flashlight” for light painting. That was very neat. i will have to try it someday. You have a wonderful sense of nature. Hey Dennis, thanks for stopping by! Any light sources will do depening on it’s intensity. You may need to diffuse it too.